DG808B 2001 TT 411Hrs Engine TT 23Hrs Fully equipped with Cobra trailer and one-man rigging. Winter Vario/ASI/Altimeter, Becker radio (boom mic and headset) Trigg TT22 transponder, LXNAV V7 linked to Oudie 2/LXNAV Nano, Kanardia Horis mini EFIS showing Horizon/Alt/IAS/TAS/Temp/Hdg. 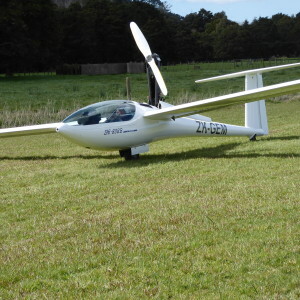 Solar panels with 2 x 12v 9AH additional batteries for endurance flying. Parachutes Australia slimback emergency chute, new pack with unlimited life chute available separately. All in excellent condition and ready to fly.